How do I fix MMD errors? How do I fix the side-by-side error? How do I fix the missing DLL error? How do I setup MikuMikuDance? How do I solve MMD problems? 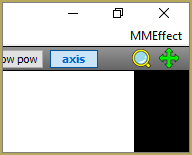 How do I install MME effects? How to solve common MMD problems, and set up MMD so you can start animating! In this video I will explain everything inside this article. 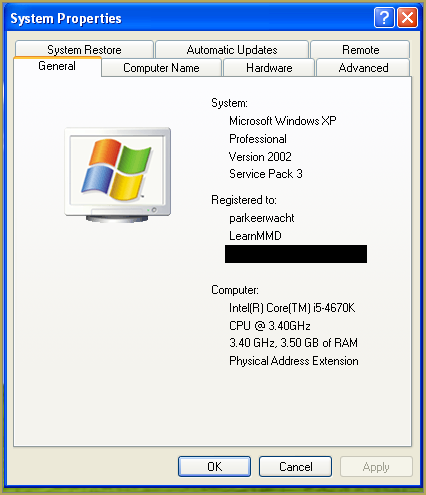 Depending on your windows version the screen you will see differs, look for something that says: 64-bit operating system or X64 edition for Windows XP. on the image above you can see how it looks for 64-bit Windows 10, but all systems should have something like that. My test system is 32-bit so I download the 32-bit version. If it says 64-bit download the 64-bit version MMD. You can also use 32-bit MMD on these systems as well, but I prefer 64-bit MMD. I downloaded MMD but it gives me the following error: “The side-by-side configuration is incorrect” How do I fix this? This is the same as the Side-by-Side configuration error. This means you do not have the C++ Libraries installed! 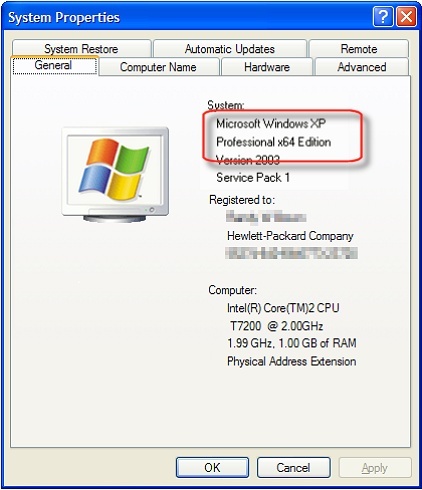 You will need to have full administrator access to the computer in order to install them. If you still get the error after installing, reboot your computer. Make sure to restart the computer if it doesn`t work immediately! To install it create a new folder on the C drive named TMP. Let it extract to that folder. This will install DirectX on your system. This error means that your graphics card or current graphics drivers, are not able to run DirectX 9. All Graphics cards from 2007 and later are supported for DirectX9. To fix this you can try to update your graphics card drivers. If that does not work you must get a DirectX9 supported Graphics card or a new computer. Since I am on a Virtual Machine I get this error as well. For some features of MMD to work properly, and prevent scrabled filenamed when extracting MMD data, you must set your system locale for non-unicode applications to japanese. To do this: go to the controll panel. 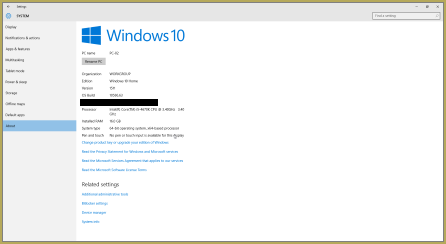 (For windows 8.1 and 10 users: right click on the start button and click on controll panel) Then click on Region, under the administrative tab click on change system locale, select Japanese from that list. Click on OK and reboot the computer. Once you have got MMD running, you should install MME. This plugin gives you the ability to use different effects in your videos! DO NOT PUT THEM IN THE DATA FOLDER! I have seen people do this. This won`t work! Soo, I got it all working. What should I do next? That`s about it, for this article! If you get a different error or if it still won’t work, please let me know by posting a comment below or on my YouTube video. Updated the video with a revised version. So, I’m aware that the laptop I use is quite slow and stuff and that MMD won’t run as fast but I have run into a problem I haven’t had before while working with MMD. I used to be able to render MMD videos just fine but now when I try to render any video (with the same settings I have always used), it starts to say ‘(Not Responding)’ for about 30 minutes after it records a frame and I don’t know why. I really want to render an MMD video again but it just won’t render without it stop responding. Can anybody help? What changed? Anything? Did you just come back from a break from MMD? Does this problem always occur, regardless of the .pmm loaded? Does it occur regardless of codec choice? Do you have space on your hard drive? Does it occur when you try to render the default Animasa Miku standing still for 15 frames? Do you have any problems running 3D accelerated games? 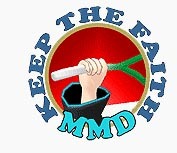 Does it occur if you use a fresh install of MMD, without MME? In your shoes, those are the questions I’d be investigating in order to figure out what went wrong. Help! My accessory manipulation panel disappears when I load a model and I can bring it back… How do I fix this? There are two “modes” – model mode, when you select a particular model to configure its bones, and camera mode, when you set up the camera, can see the screen exactly as it will be rendered to picture/video, and this is where you can configure accessories as well. Press the button “Model/Camera” in the lower left corner of the render screen, and your accessory panel will be back. Our site is littered with assistance for that error… See the Troubleshooting page… the very page upon which you left this comment. That error means you need to add the appropriate C++ updates. What/when are you talking about? ?